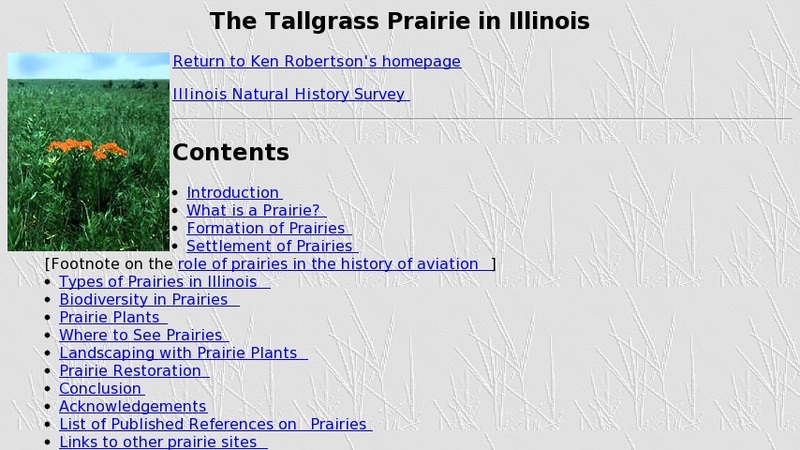 This website is based on an article about prairies in the state of Illinois. The article discusses the physical formation and human settlement of priaires, types of prairies in Illinois and where to see them. Biodiversity and priaire plants are addresses, as is landscaping with priaire plantrs and prairie restoration.